Banking regulations mandate that only companies with the correct documentation and authorization be allowed to open business bank accounts. Companies have to show that they are legal entities and that they possess Internal Revenue Service identification. In addition, the person opening the account must prove that he has the proper authorization from his company. Account-opening rules vary slightly from state to state. Call the bank ahead of time to be sure that you have the right documents. If your company is a corporation or a limited liability company, you must show the bank the company’s employer identification number. If you have a sole proprietorship, your Social Security number meets the requirement. If you are opening an account for a nonprofit company, be sure to bring your copy of the Internal Revenue Service’s ruling letter that proves the company’s tax exemption under Section 501(c). An EIN is not enough documentation to open a business account. 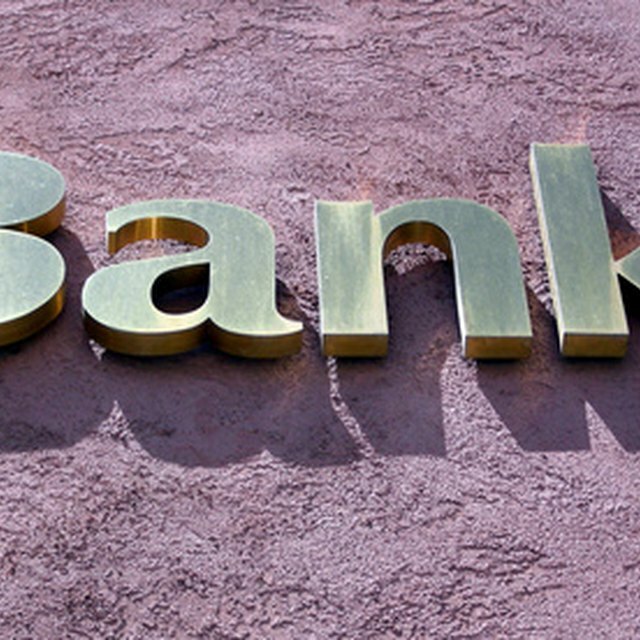 The bank must be satisfied that your company was formed legally, under the current laws of your state. To prove this, bring your company’s articles of incorporation, which is sometimes called the certificate of incorporation, certificate of existence, certificate of formation or charter. In addition, the person representing the company may need some form of personal photo identification. For LLCs, the equivalent is the limited liability partnership agreement or the certificate of limited liability partnership. The document must name the company and the partners. Proprietors need only a document attesting to the filing of the business name or a business license. The bank must have proof that it has your company’s official request to open the bank account. For a corporation or LLC, you should have a corporate resolution that gives two things: the names of the company’s personnel who will sign on the account and the name of the bank where the account is to be opened. For a proprietorship, your presence at the bank proves your authorization. The bank will require that its application form be filled out and signed. The form will ask for the company’s mailing address, contact telephone numbers and the names and titles of key personnel. Company personnel who will be signing on the account will have to complete signature cards. As the banking relationship moves forward, the company will be responsible for keeping the signature cards current as personnel leave and join the company. At the end of the account-opening procedure, you may fill out a deposit slip and make an initial deposit. In the case of checking accounts, the bank will have customized checks and deposit slips printed and mailed to your company.